Snake's special moves. 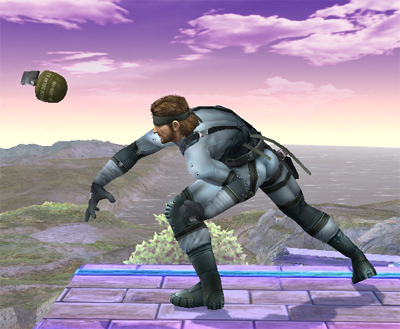 It’s not just Snake’s special moves that use ordnance—so do his Smash attacks. Can that be?. Wallpaper and background images in the Super Smash Bros. Brawl club tagged: super smash bros. brawl newcomer snake solidus metal gear solid metal gear rex nikita hand grenade.